Study explores the time and money impact of managing multiple revenue sources, mitigating fraud risk, preparing for audits, and minimizing staff turnover impact. 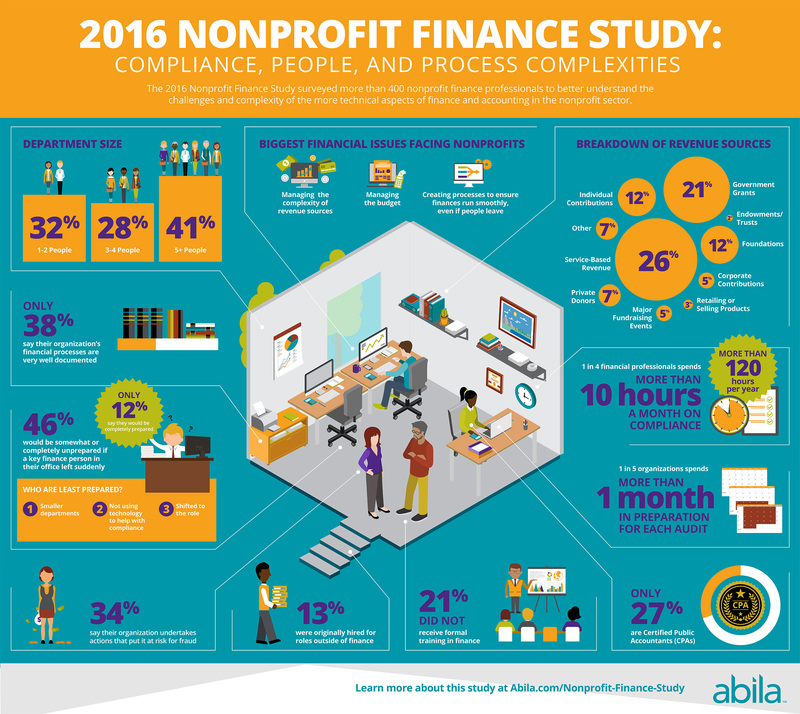 Abila, the leading provider of software and services to associations, nonprofits, and government entities, announced today findings from its 2016 Nonprofit Finance Study: Compliance, People, and Process Complexities. 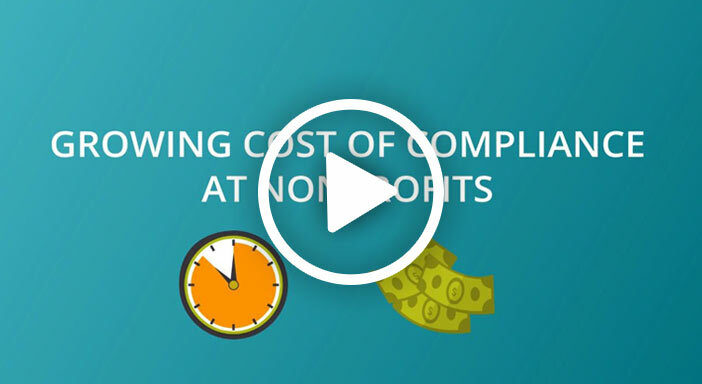 This study explores the challenges and opportunities associated with rules and regulations changes, compliance, managing multiple revenue sources, audits, fraud, and staff turnover in the nonprofit finance department. Managing the complexity of multiple revenue sources is a major challenge: Managing money from multiple sources with restrictions and stipulations is very complex. 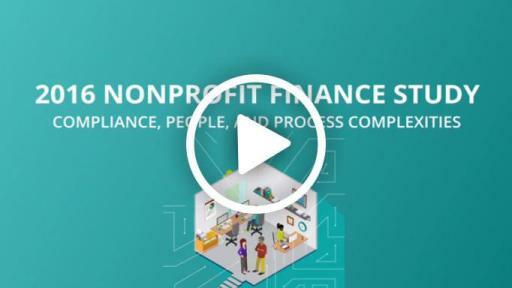 By far, nonprofit finance professionals (31 percent) identify managing the complexity of multiple revenue sources as the biggest financial challenge facing their organization. 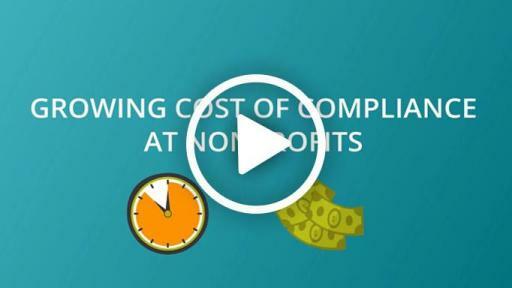 Compliance is a burden: Nearly two-thirds of nonprofit finance professionals think compliance has become more burdensome and costlier, even in just the past two or three years. 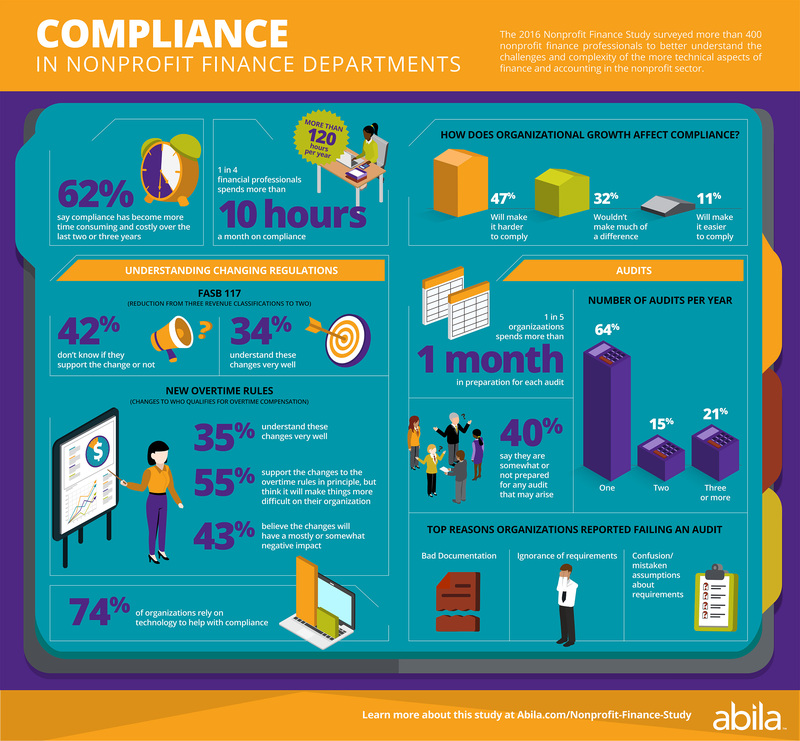 Almost one-in-four nonprofit finance professionals is spending more than 10 hours a month – or 120 hours a year – on compliance. About half believe their organization’s growth would lead to an even more difficult time complying. New rules and regulations cause dread: When it comes to rules and regulations, many nonprofit finance professionals – even those who support the rules and regulations – dread the implementation and effect on their organization. 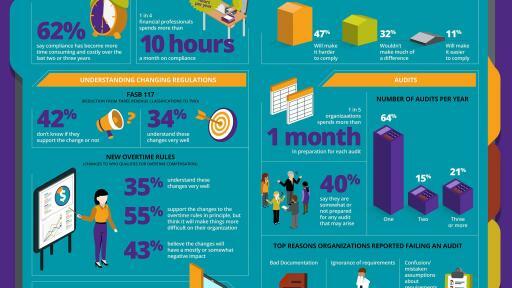 About three-in-four worry that new changes might increase costs for their organization. Only one-in-five believes that regulations do more good than harm. 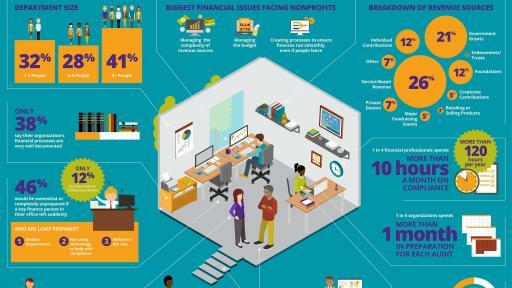 Nonprofit finance departments are particularly vulnerable to staff turnover: Nearly half of survey respondents (46 percent) say their organization would be somewhat or completely unprepared if a key finance person in their office left suddenly. This is especially true for those with smaller finance departments. Only 12 percent say they would be completely prepared. 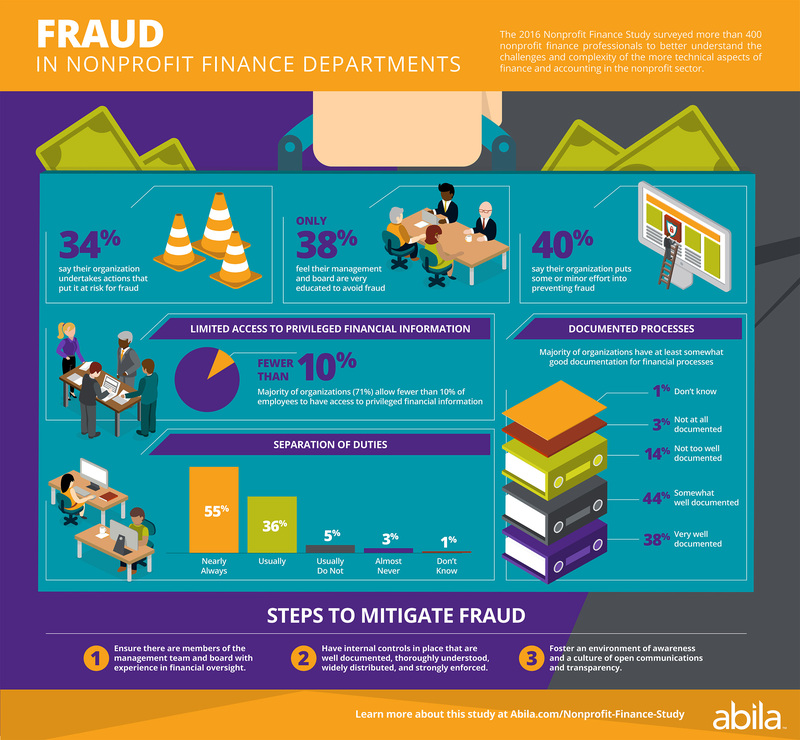 Fraud is an ongoing concern: A majority of organizations nearly always separate duties that need to be separated to prevent fraud (55 percent), and put significant effort into preventing financial fraud (59 percent). However, only 38 percent say members of their management and board of directors are very educated on how to avoid fraud, and 34 percent say their organization undertakes actions that put it at risk for fraud. Audits are time consuming: More than half of organizations require more than two weeks to prepare for an audit. 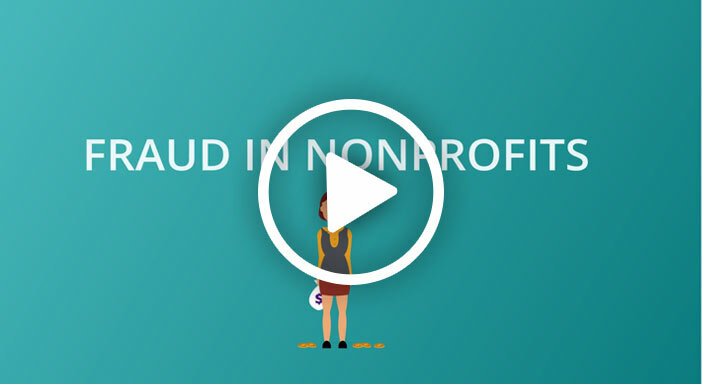 The burden is compounded for the 36 percent of nonprofit finance professionals who claim they have more than one audit a year. The full report can be downloaded at: www.abila.com/nonprofit-finance-study. 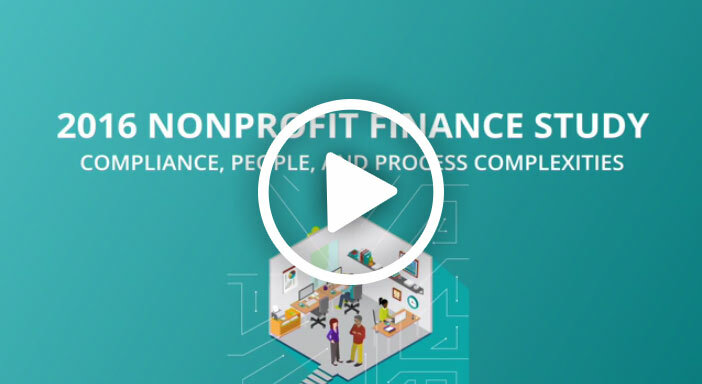 Commissioned by Abila, Finn Partners fielded online surveys to 414 financial professionals from nonprofits and associations. 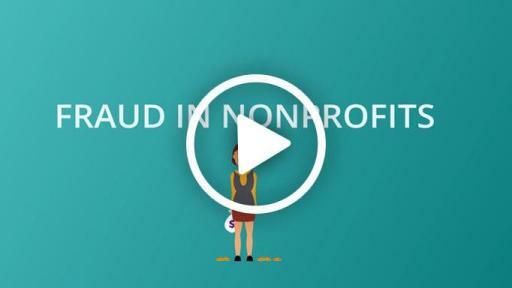 To be included in the study, respondents had to state in the survey that they still worked for a nonprofit or association, and that their primary role involved finance or accounting. Abila provided lists, and professionals were sent an email invitation to participate. The surveys were conducted between June 23 and July 12, 2016.